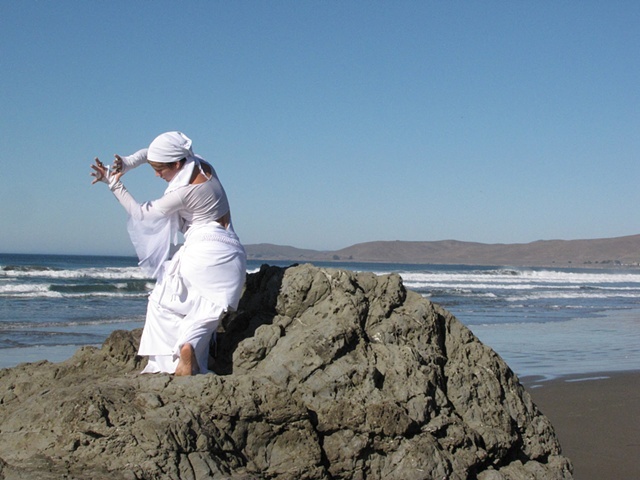 This performance was on a beach with the most gorgeous croppings of rocks. They had gorgeous subtle variations in color and were very textured. I felt that doing a movement piece in collaboration with the energies of the natural surroundings juxtaposed with the posh beach houses that surrounded everything would be interesting.